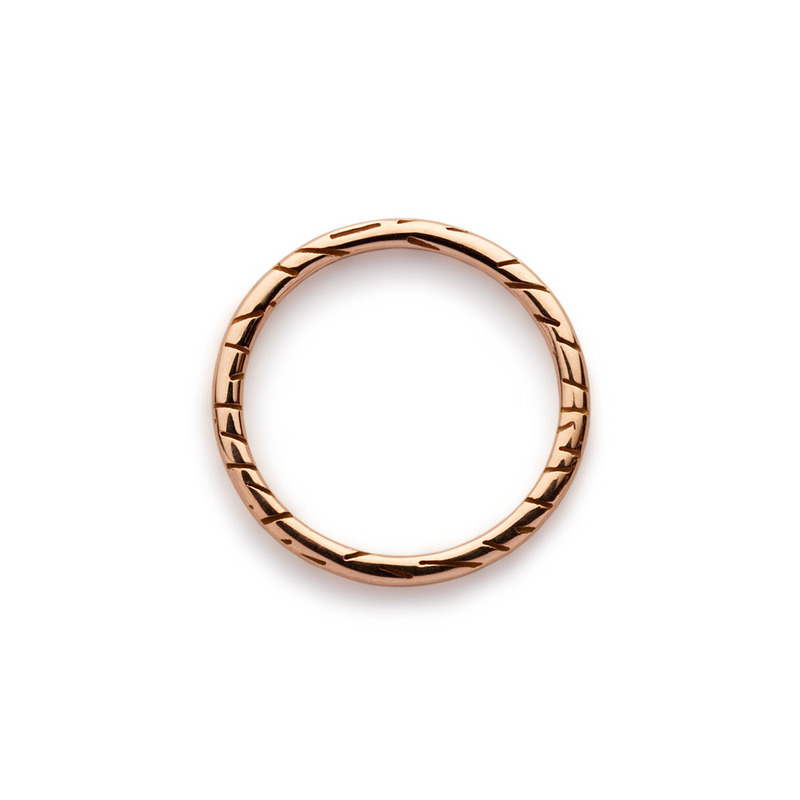 18ct yellow gold stacking ring with fur texture engraving by Bear Brooksbank. Made in London. 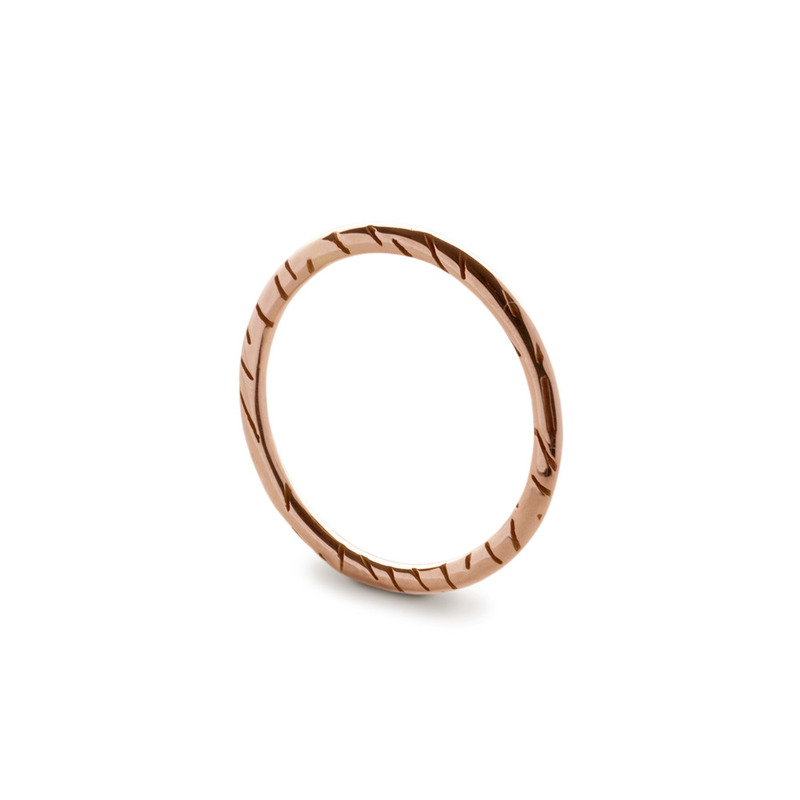 A delicate and versatile stacking ring that can be worn independently or stacked with other rings from the collection.